The U17 Midget Sharks traveled out to Banff Alberta to compete in the Banff Hockey Academy's Christmas Classic that ran from November 30th to December 2nd. The Sharks battled hard through group play losing once and winning their other two games in a shootout and overtime play. This gave the Sharks a birth into playoff round where they met with the first place Saskatoon Screaming Eagles. This semi-finals matchup gave the Sharks their first regulation win and beat the Eagles by a score of 4-2. The Sharks next game was in the tournament finals playing against the Prince Albert Chill. The Sharks took this game all the way to a shoot-out where they beat the Chill by a score of 4-3 to take home gold. 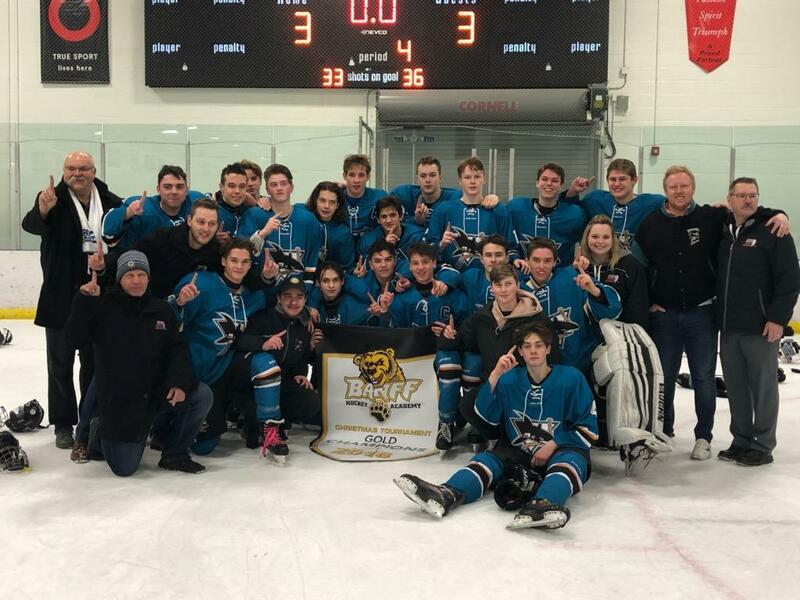 Congratulations to the U17 Midget Prep Sharks on their big win in Banff.